Gorgeous mom and adorable baby were in our studio for newborn pictures, how cute are these?! Also who doesn't love dog with baby photos, it's my favorite! Sophie is a very smart big sister, she posed like a model because we had cheese lol This little guy got a lot of awake shots which is awesome. 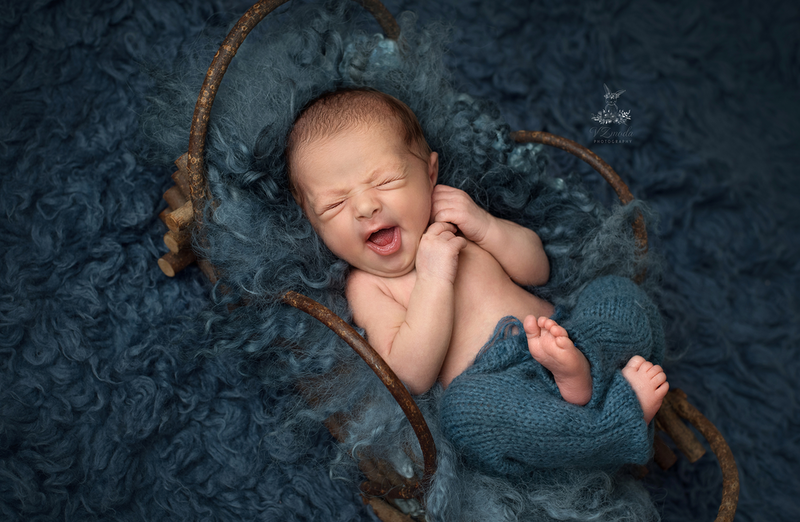 Love the colors parents chose and that newborn smile is priceless.